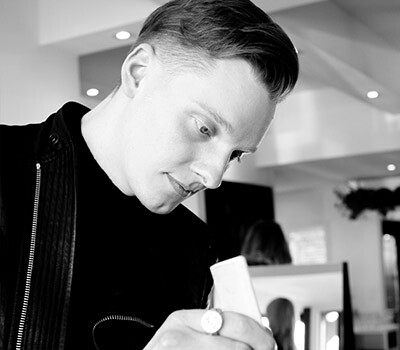 I have been at Mods for over a year ½ and I am the rising star colourist for vibrant team of stylists. I am a natural born hairdresser, it’s in my bones! My focal point is colour, having a passion for the art form and an eye for perfection. I live and breathe hairdressing- it’s not a job, it’s a lifestyle, a dynamic fusion of art, science and social energy. I love celebrating and experiencing the end result of my work on my clients – making them feel confident and chic. I am energized, creative and synergise well with like minded people with a taste for the “New” the “Modern” and the Avant-Garde- whether its fashion, or the art of the hair form. My work perfects that and I love clients who are willing to push the boundaries and challenge the status quo. Embrace being an individual amongst the crowd.